Recognizing that African American families experience exponentially higher rates of infant mortality that any other culture, Families Forward Resource Center has expanded our programming to include Healthy Start. Healthy Start aims to provide families with access to resources to ensure African American babies and families are healthy and thriving. Participants are assigned an advocate who works with families to provide resource referrals, assistance in accessing health care, parenting education and support, and family advocacy. Thank you! You will be contacted within the next 48 hours! African American families are 3-5 times more likely to experience infant mortality than any other culture. Infant mortality can happen to your family regardless of income level, educational achievements, social status, and physical appearance including weight, age, and fitness level. 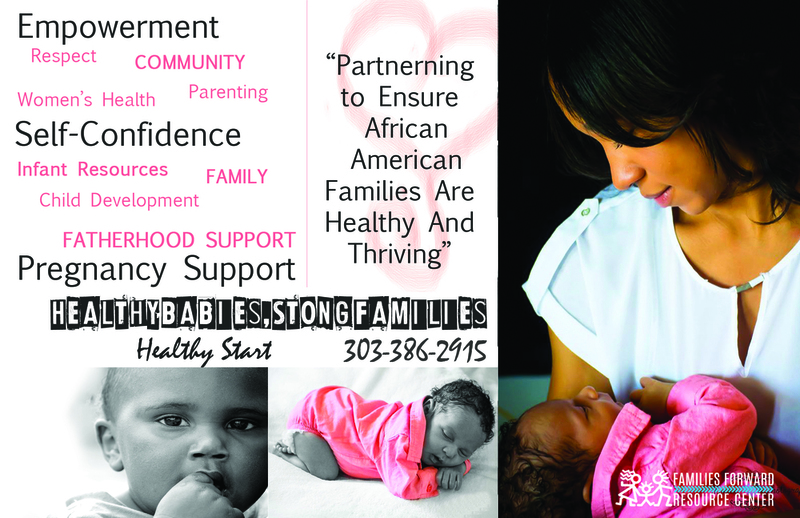 FFRC's Healthy Babies, Strong Families program will address infant mortality by providing direct support to African American families experiencing family planning, prenatal care, and pediatric care. Services include family advocacy, home visitation, and health education to help pregnant families get the help they need to have healthy babies. Listed below are some of the services we offer.